A corneal ulcer typically occurs as a painful, red eye, with mild to severe eye discharge and reduced vision. The condition results from a localized infection of the cornea, similar to an abscess. Most cases of corneal ulcer are due to a bacterial infection that invades the cornea — often following eye injury, trauma or other damage. Contact lens wearers particularly are susceptible to eye irritation that can lead to a corneal ulcer. A contact lens may rub against the eye's surface, creating slight damage to the epithelium that may enable bacteria to penetrate the eye. If you are a contact lens wearer, you can increase your chances of avoiding a corneal ulcer by practicing good hygiene such as washing your hands before handling lenses and following other safety tips. Fusarium. These fungi have been associated with outbreaks among contact lens wearers who used a certain type of contact lens solution. Now withdrawn from the market, this contact lens solution previously failed to prevent this type of infection. Another cause of corneal ulcer is herpes simplex virus infection (ocular herpes), which can damage exterior and sometimes even deeper layers of the eye's surface. Other underlying causes of corneal ulcers are severely dry eyes, eye allergies and widespread general infection. Immune system disorders and inflammatory diseases such as multiple sclerosis and psoriasis also can lead to corneal ulcers. Your most important step if you suspect you have a corneal ulcer is an immediate visit to your eye doctor. Otherwise, untreated corneal ulcers can lead to severe vision loss and even loss of the eye. If your doctor suspects that bacteria are the cause of your corneal ulcer, usually treatment includes frequent application of topical antibiotics, with or without initial cultures. The location and size of the ulceration will guide your eye doctor in determining the need for cultures. Most eye doctors see patients with corneal ulcers every one to three days, depending on the severity of the condition. 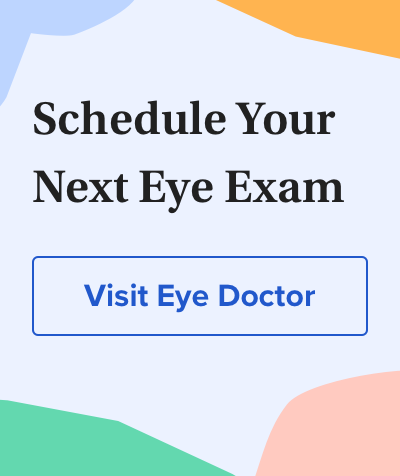 If the ulceration is in the central cornea, the condition usually takes longer to go away, and vision may be reduced permanently due to scarring. Unfortunately, permanent damage and vision loss may occur even if the condition is identified and treated early. If you have experienced trauma to the eye, your doctor may suspect ulceration from fungal keratitis, particularly when your eye has encountered organic matter such as from a tree branch. In most cases of this type of corneal ulcer, the eye already is compromised by pre-existing conditions, such as an immune disorder. Your doctor would diagnose fungal keratitis only with microscopic evaluation of specially stained specimens or cultures. He or she would administer anti-fungal agents, sometimes both topically to the eye and orally, depending on the severity of the ulceration. The prognosis for good vision depends on the extent of infection. Even if detected early and managed properly, some cases of corneal ulcers will require a cornea transplant (penetrating keratoplasty).